In a statement, the company said that it has put BK11 on care and maintenance and that it would now focus on the flagship Liqhobong Mine in Lesotho, which has proven large scale diamond recoveries. The repairs and maintenance work at BK11 are aimed at keeping the mine so operations there could be readily re-started, the company said. The news came after an operations update earlier this month, in which the company said technical problems with the secondary crushing circuit at the plant were continuing and management were considering a number of strategic options. Firestone said the decision was due to operational challenges and current weakness in the diamond market. Firestone Diamonds CEO Tim Wilkes said the company remains committed to the operations in Botswana and the program at BK11 is “a temporary measure” that has been designed to enable a rapid re-start of operations when the technical and market challenges have been resolved. The indicative monthly holding costs of the care and maintenance programme are around US $65,000, the firm added. Firestone has concluded consultation with its employees at the mine to ensure a "transparent and legitimate process" covering a number of options, which are in line with the labour and mining acts within Botswana, said. According to Mmegionline, Botswana Mine Workers Union (BMWU) is in shock, especially because at the time of the suspension, it was working on incorporating BK11 employees into the Union. 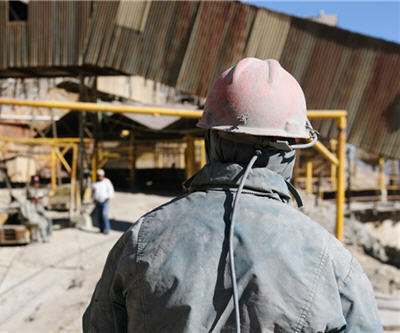 BMWU national organizing coordinator, Abel Buka, told Mmegi that the suspension caught workers unaware because the management never indicated the mine was facing any problems during the agreement negotiations. According to Buka, the suspension of operations happened at the same time of the planned signing of the recognition agreement, which had been under negotiation for months.